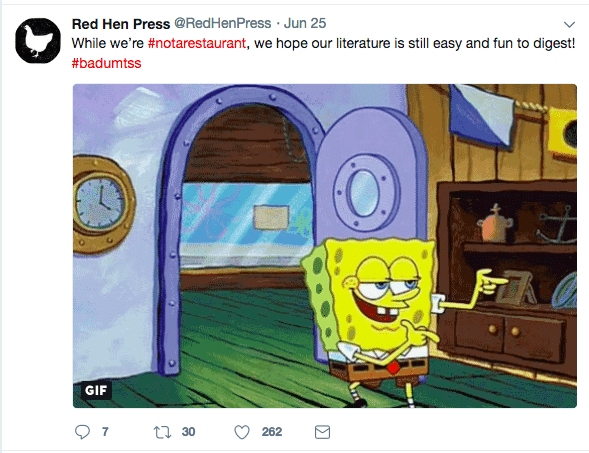 What happens when two restaurants and a publishing company have the same name and one of those entities makes a scandal? 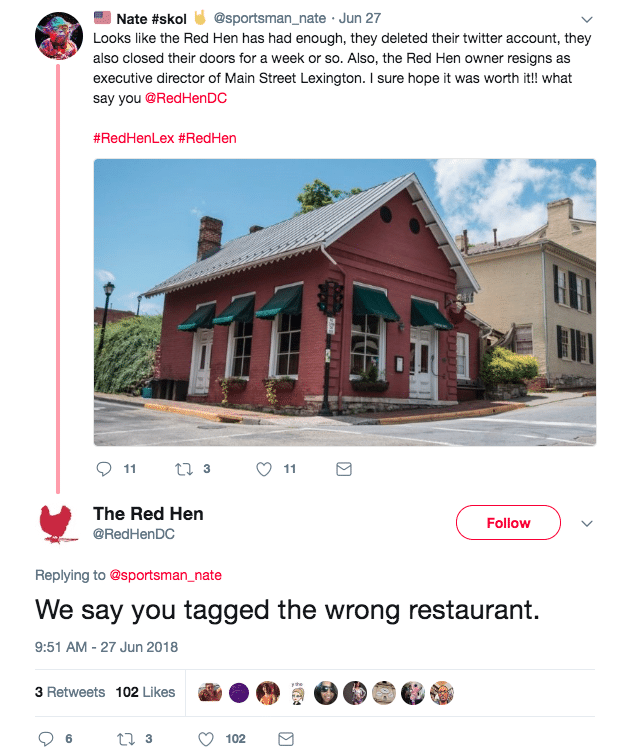 You get the twitter sh*!-storm that was the Red Hen DC, Red Hen Lexington, VA and Red Hen Press twitter controversy thanks to Red Hen Lex turning a customer away. 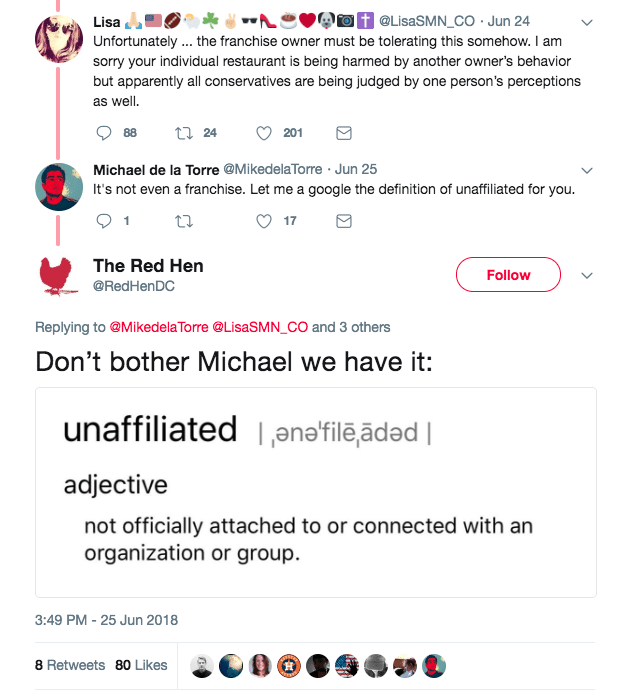 Now we’re not here to talk politics, we’re actually hear to discuss the strategy employed by the non-scandal causing businesses, specifically how they handled the flood of misdirected angry tweets. 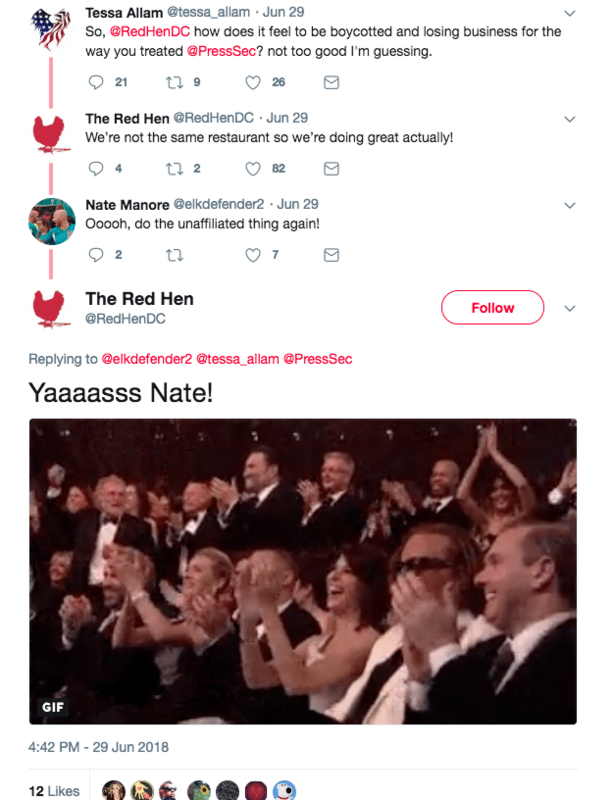 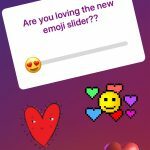 We chatted with Red Hen DC’s Communication Director to get a little more insight (she’s awesome btw). 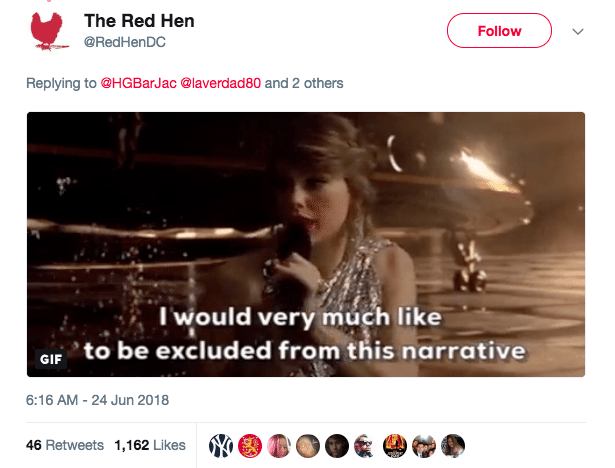 So here we go, let’s dive into the flurry of angry tweets and strategically snarky responses from the Red Hens of DC and publishing. 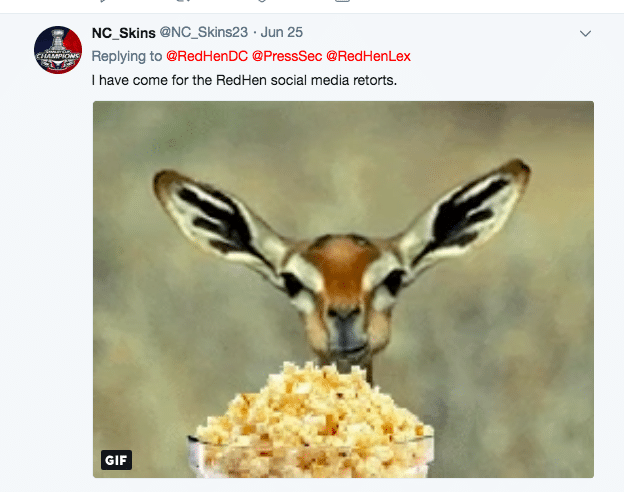 Tweet #1: After a heads up from @RedHenLex, @RedHenDC fired off their first tweet addressing the scandal. 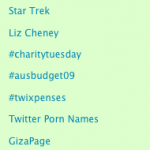 It’s clear and concise, gets right to the heart of the issue, all should be understood. 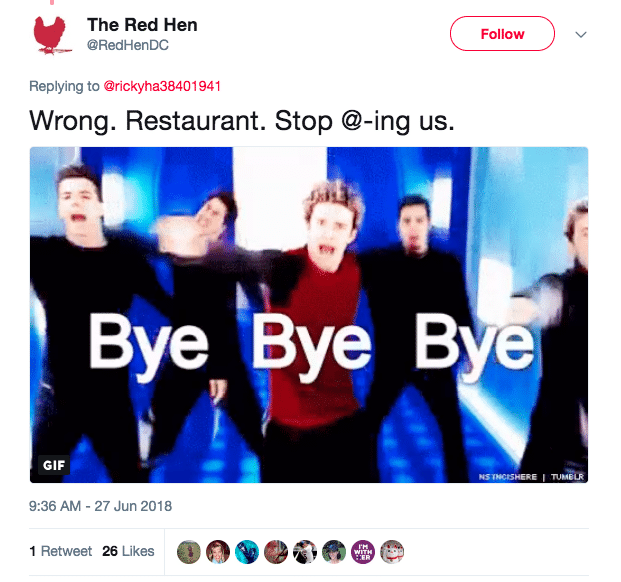 Unfortunately for @RedHenDC, people rushed to put their opinion out on the Twitterverse without checking the handle they tagged. 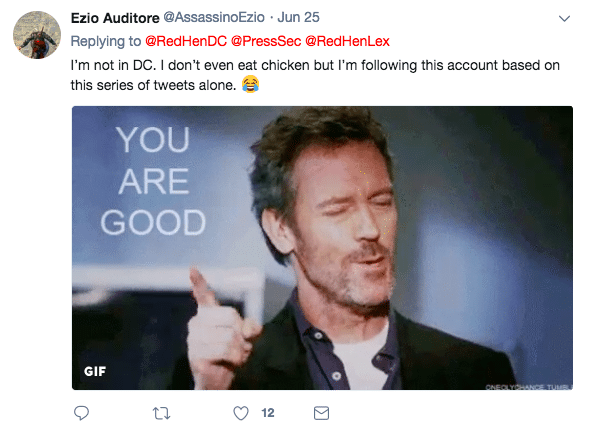 This lead to a truly exhausting (we’re assuming) day for the @RedHenDC Communications Director, Alysa Turner, as you’ll see below. 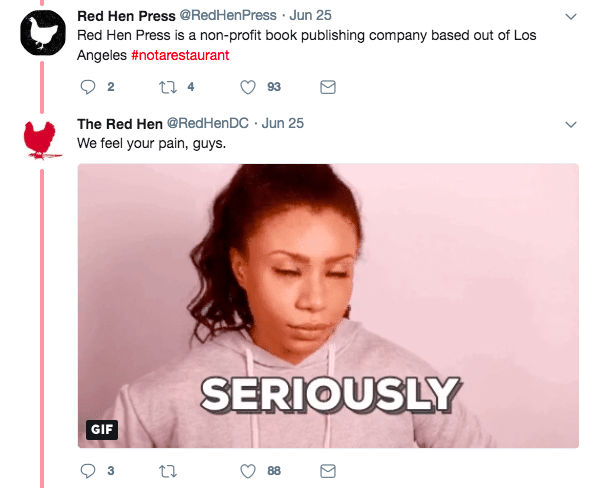 In comes the other Red Hen, a book publishing company, who also received some misplaced anger. 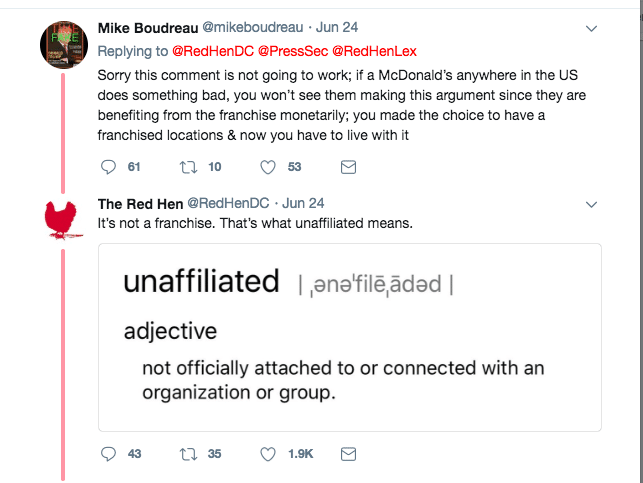 This is definitely a situation where some would falter and lose faith in the humanity that is on Twitter, but never fear, the fearless and absolutely hilarious @RedHenDC remains on top with their comebacks. 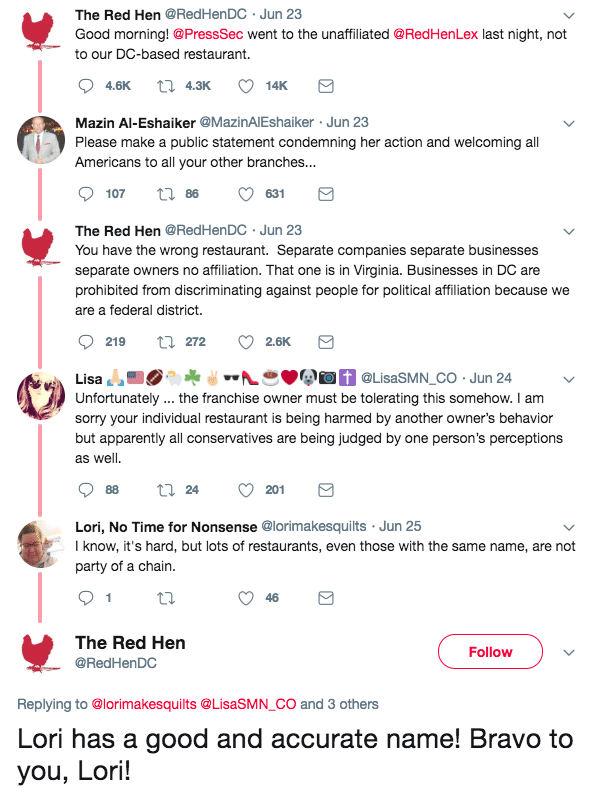 If you can’t tell, we’re loving the work of Alysa Turner and we’d happily support any initiative to give her an award for dealing with the backlash from something an UNAFFILIATED restaurant did and we aren’t the only ones. 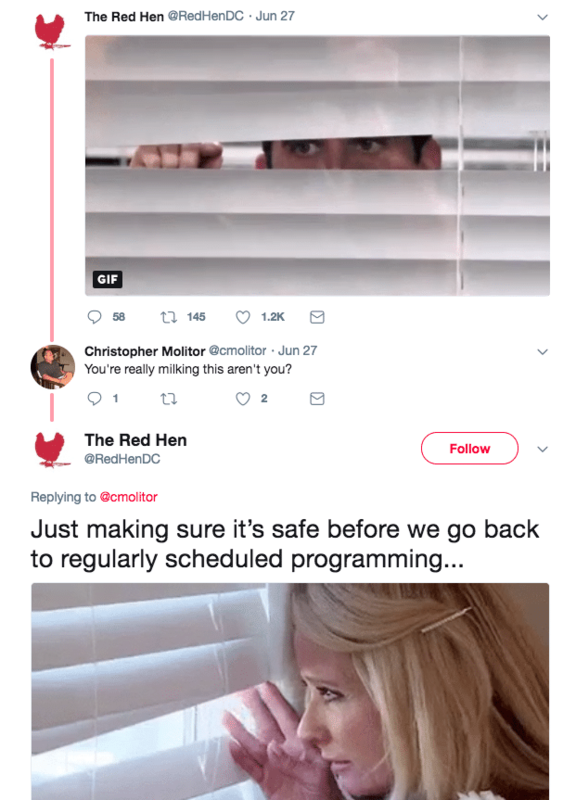 At the end of the day, @RedHenDC and its fearlessly sarcastic leader did a great job at handling this PR crisis. 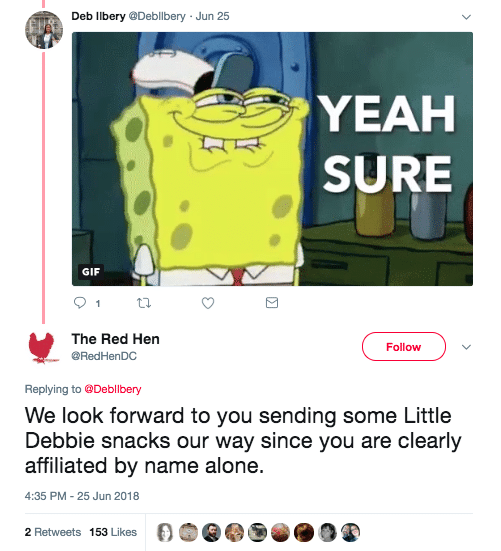 Not only did they address the thousands of comments they received via Twitter they did it with class and maintained their brand personality. 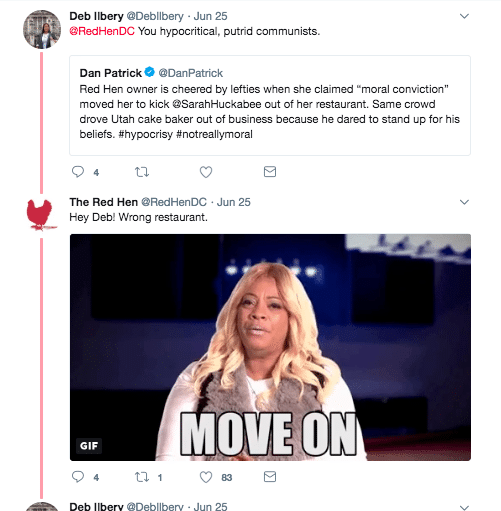 If you’re ever in a similar position, the best advice is to acknowledge the situation, find your voice, and buckle up for a wild ride.